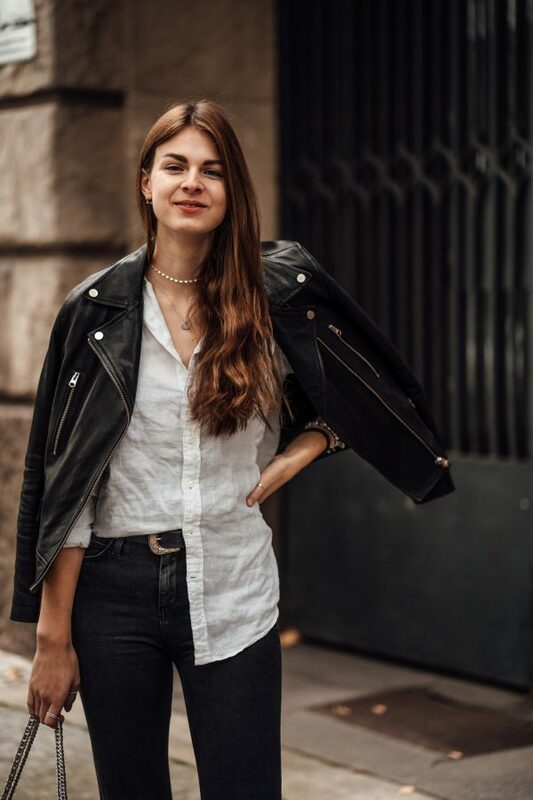 A week ago I already shared a blog post in which I showed you how to style the leather jacket in a casual chic way. Those who have been following me for a while now might already know how much I like leather jackets. I used to own quite a few leather jackets and was wearing them almost every day. A while ago I started to sort all my leather jackets out and kept only two pairs. The ones I kept are both not quite suitable for a daily basis, so I was barely wearing them. Earlier this year I started missing my leather jackets because I had so many outfits in mind I wanted to wear. Due to that, I began to look for leather jackets again, and as you can see, I found one (well, I actually found two). 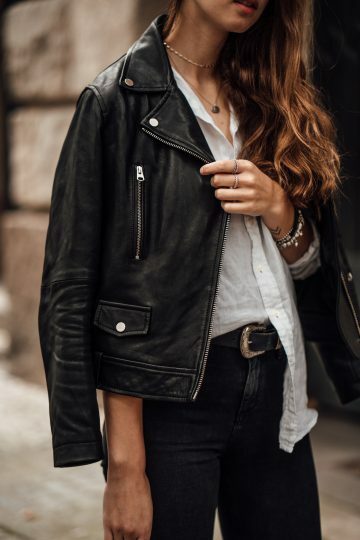 The one you can see here is a very classic leather jacket, perfect for the everyday life. And since I finally got a new leather jacket, I can wear all the outfits I had in mind. And as you can see, most of them are casual chic. 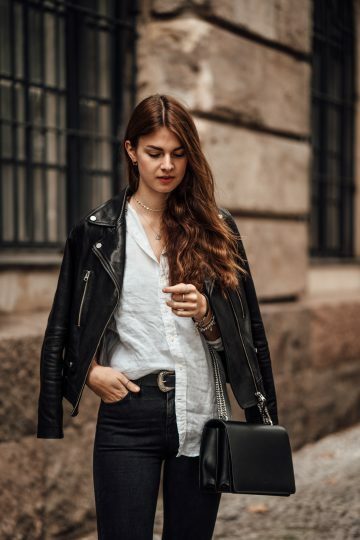 Last week I shared a casual chic outfit with this leather jacket, and today I am sharing another casual chic outfit, but it is super different to the one I shared last week. As I mentioned before, you need at least one chic piece of clothing, when you want to put together a casual chic outfit. When I put together the outfit you can see me wearing here, I opted for a white shirt. You can never go wrong with a white shirt because you can combine it with almost everything. I opted for an oversized shirt (it’s actually a men’s style), which doesn’t look as chic as a fitted blouse would. But it still is a chic piece of clothing. Another chic piece I was wearing that day is my Agneel bag and, of course, all the pieces of jewelry are chic as well. In addition to the pieces I wear on a daily basis, I was also wearing a new choker. 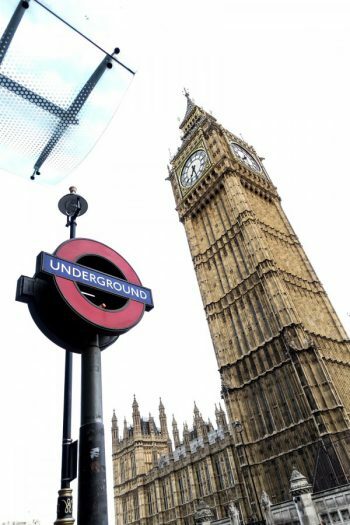 Isn’t it a nice eye-catcher? 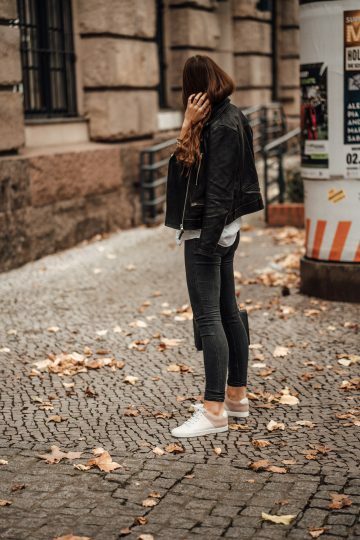 The casual pieces of clothing are the leather jacket for sure, as well as my dark grey Lee Jeans and my new customizes sneakers from Shoes of Prey. There’s no need to explain why I chose these pieces as the casual parts of the outfit, is there? 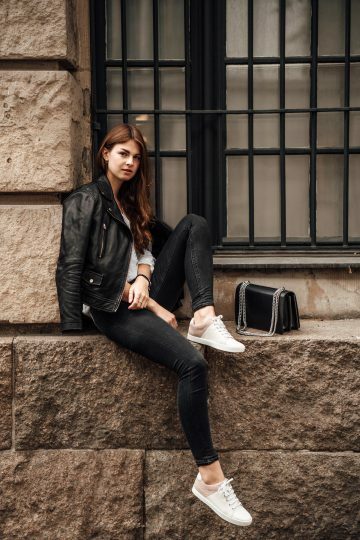 It’s obvious that the sneakers are super comfortable and jeans are basic pieces you can never go wrong with. I have to admit, that the pair I was wearing here isn’t the most comfortable pair I own, but it still belongs to the casual part of the outfit. I was wearing this outfit during the week, on a day spent at the office. I also had two meetings that day, that’s why I wanted to wear a casual chic outfit and nothing too casual. This outfit served the purpose very well. But I wouldn’t only wear this outfit at the office or a meeting, I would also wear it on the weekend, when meeting up with friends or having lunch or dinner in a restaurant. That’s why I love casual chic outfits: you can wear them almost every day no matter what you’re up to. 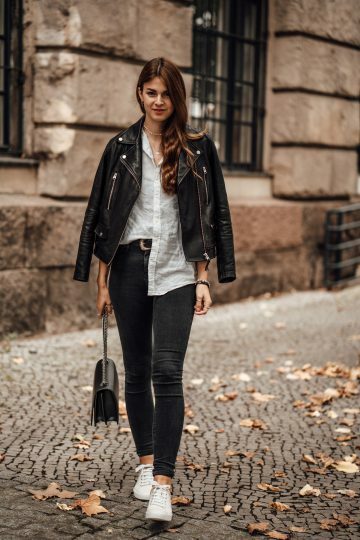 Casual chic outfits fit a lot of different occasions. And if you need an outfit that is chicer than this one, you can just exchange the shoes. Wear a pair of black boots or high heels and this outfit will be suitable for chicer occasions as well. So guys, how do you like this outfit? 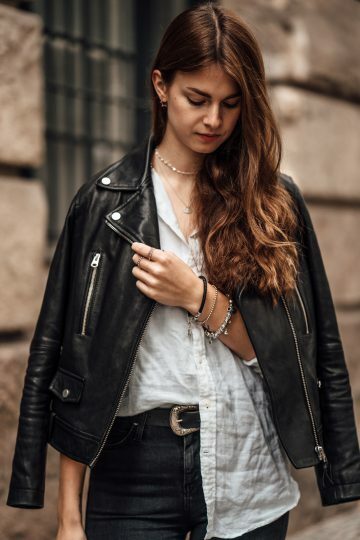 I would love to read your comments about how you like this look and also let me know whether you like leather jackets or not. 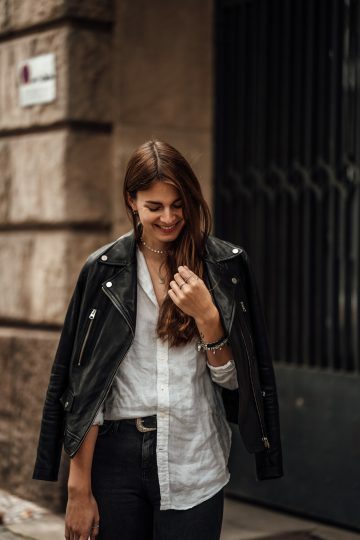 Do you want me to share more casual chic ways to style a leather jacket?